While Wall Street waits for Apple's earnings report on Tuesday, industry analysts are already pondering the next iteration of the California company's iPhone line. Those analysts agreed that this year's iPhone will have special significance. 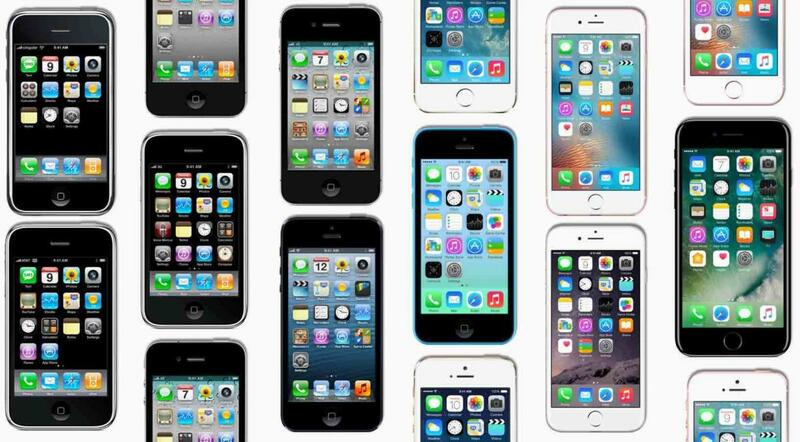 After all, this month was the 10th anniversary of the iconic smartphone's introduction by Steve Jobs, and come summer the same milestone for the iPhone's on-sale date will arrive. But how will Apple present -- and promote -- the next iPhone? Will the company beat an anniversary drum? On that the experts were not in harmony. Ben Bajarin, an analyst with Creative Strategies, suggested that Apple may do little to overtly celebrate this year's anniversary, but instead will use the occasion to highlight progress in general. "I won't be surprised if Apple adds some historical context to this year's iPhone," said Bajarin. "But I don't think they'll play up the [10th anniversary] angle." Rather than harp on the past, he suggested, Apple should -- and in his opinion, will -- do what it usually does to sell iPhones: Trumpet the new features. "It's always better to focus on what differentiates [the next iPhone] from the existing one," Bajarin said. The year's iPhone has yet to come into complete focus from the inevitable supply chain leaks and the resulting rumor mills. Rather, expectations and speculations remain all over the place, ranging from a bezel-free design and a curved OLED (organic light-emitting diode) display to wireless charging and an almost-all-glass construction. Even the name remains up for debate. Logically, the next iPhone would be tagged with the "8" moniker, but some assume Apple will, in another nod to the anniversary, label it as the iPhone "X." "If I was Apple, I would use a different splash with this one," said Ezra Gottheil of Technology Business Research as he disagreed with Bajarin. "They could [talk about] how the world has changed, use that a theme. They should want this to be a very big deal." By touting the anniversary, Apple would, Gottheil acknowledged, be going against its grain. "Apple doesn't have a tenancy to look back much," Gottheil said. But by doing just that, the company would have a powerful marketing weapon. "[Apple should say,] we are the company that invented this damn thing," Gottheil added. "And look at how far we've come."